This is a special event, diverging slightly from earlier events in our Machine Learning focused community, but so perfect for you with adjacent skills/enthusiasm/interest in “The Hype of The Disruptions” - Blockchain & Smart Contracts Technologies. 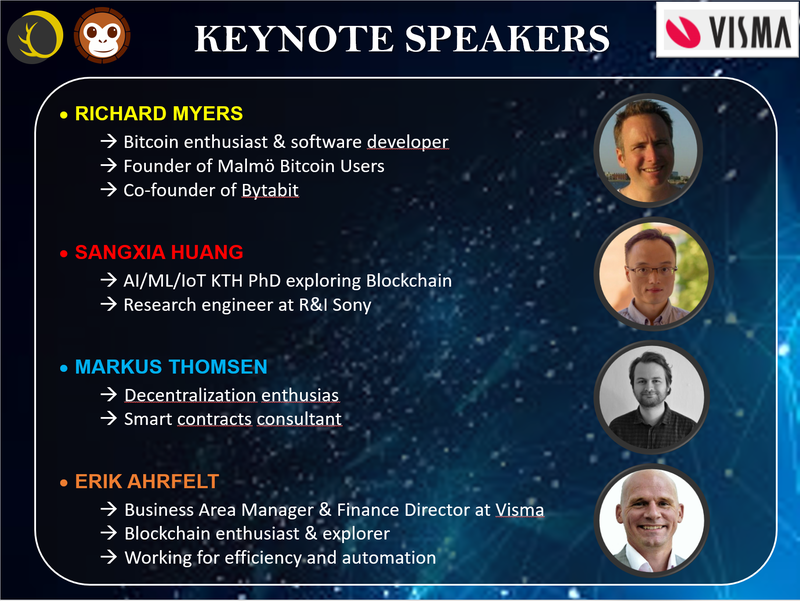 It is a full day conference that will indulge your Blockchain & Smart Contracts curiosity, walk you through the landscape of those technologies, challenge you with couple of use case discussions and leave you with plenty of time for networking with other Blockchain/Ethereum enthusiasts, experts and leaders. Program for the day follows below. Conference is organized by Barrel AI Monkeys, Visma and NordAxon. 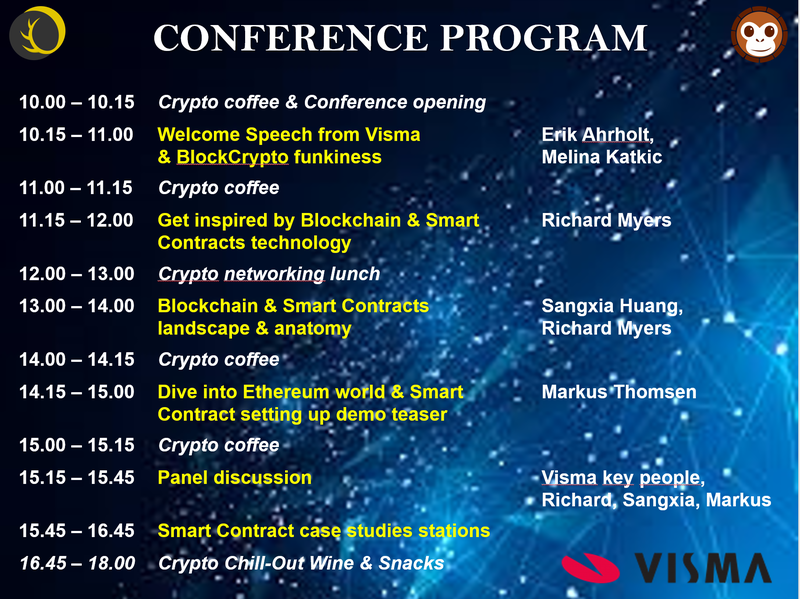 Visma is also sponsoring the conference and their impressive building in central Malmö will be the venue for this event where lunch, plenty of “fika” and after-conference wine & snacks (as the perfect wrap-up of this funky conference day) will be served to all attendees. We are looking forward to seeing as many of you as possible!